In forward-thinking schools, senior leaders are choosing to work with an expert IT partner to advise, support and enhance their technology provision, reducing the risks of IT management and ensuring your chosen ICT delivers impact in the classroom. 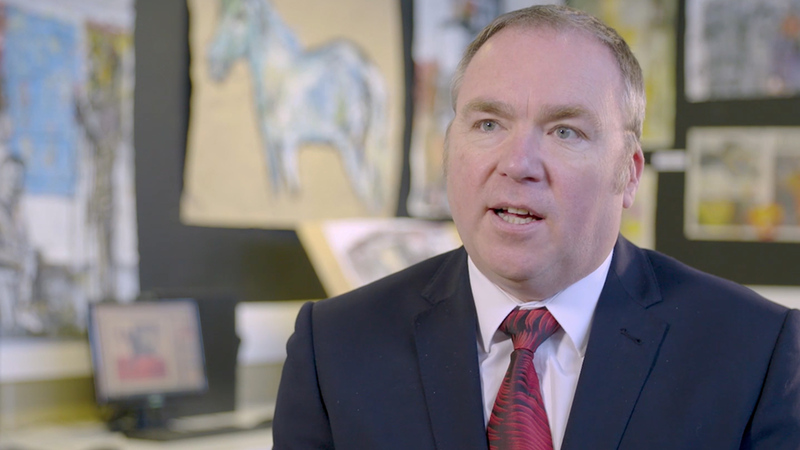 Watch Alan Johnson, Headteacher at Newent Community School and Sixth Form Centre, discuss how RM has helped provide the school with a stable platform for teaching and learning. Through partnering with RM to support their IT, they now have an ongoing plan for how the school will take their IT provision and an ongoing strategy to ensure the network can meet the needs of the curriculum and their students moving forward. Working with an expert IT partner ensures that we all play to our strengths. By co-sourcing or outsourcing the tasks you aren’t strong in, your IT support workload is most effectively managed. Your RM team and in-school technicians can then all excel in their area of expertise, increasing teacher confidence and maximising value for money. RM Flex is a modular IT support service that enhances or fully transfers the skills and risks of your in-house ICT team and provides greater visibility of your provision. Ann Price, School Business Manager, shares her experiences on the evolution of IT at her school Newent Community School and Sixth Form Centre. Forward-thinking schools are using a range of new solutions, tools and expertise to ensure their technology goes beyond IT that ‘just works’. We explore the seven signs of educational IT excellence that underpin the successful use of technology in schools. Take advantage of our free, no obligation, IT healthcheck to explore the current strengths and weaknesses of your IT provision, your vision for the future, and the best practice that will help you achieve your school goals. You’ve nothing to lose, so request your IT healthcheck today!